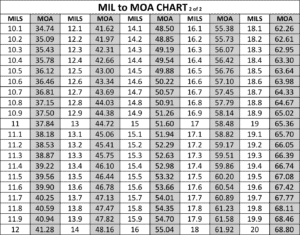 On this page, I have published a basic MIL to MOA conversion chart. 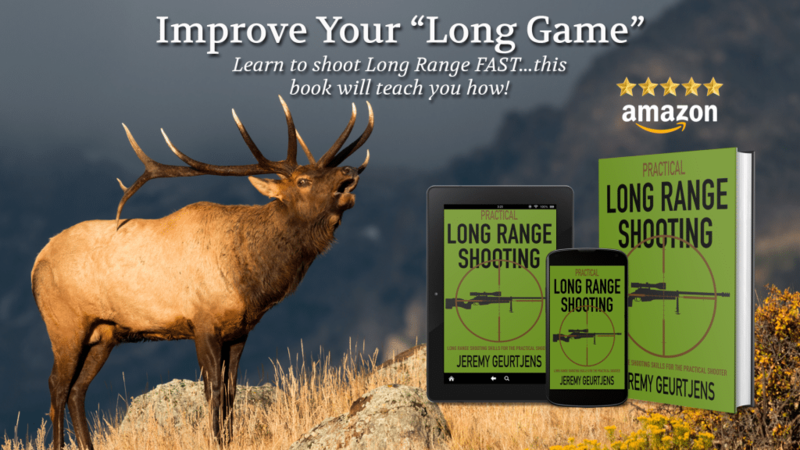 If you’ve been in the Long Range Shooting game for a while, I’m sure you’ve had to master a bunch of conversions and formulas. You’ll also know that converting MILS to MOA is one of the more common conversions. Although the conversion is done using basic math, it can be a PITA to do it “in the field”, especially under time pressure. The best way to deal with conversion in these situations is to use a MIL to MOA conversion chart as a quick reference guide. As previously mentioned, MIL to MOA conversion charts are a handy tool to have. They are also easy to carry in your “field” data book. To make things easier for you, I’ve created a MIL to MOA Conversion Chart and attached it below for your use. If you plan to use them in the field, I recommend printing it on waterproof paper or laminating it. That way, you can use it in all weather conditions without it falling apart. Also, when printing the PDF, simply adjust the “scale” size/percentage in the print menu to get a size that you are happy with. If you prefer to do MIL to MOA conversions automatically using a converter, click here to use the MIL to MOA Converter. If you want to convert units in the opposite direction, you can click here to use the MOA Calculator. P.S. 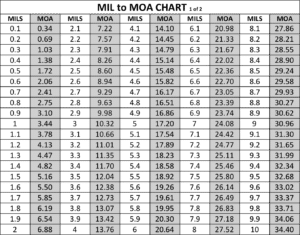 I hope you found these MIL to MOA conversion charts useful. If you did, I would appreciate it if you would SHARE this page with friends who may be interested. P.S.S. 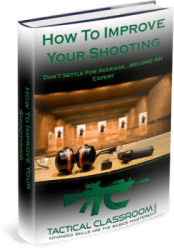 If you haven’t done so already, make sure you subscribe to Tactical Classroom and pick up a copy of our FREE eBook.